Genome sequence drafts of a number of oomycete species have been completed and several others are in progress. The sequenced species include notorious plant pathogens of importance to world agriculture (see Lamour et al. 2007 for a recent review). Phytophthora capsici, Phytophthora infestans, and Phytophthora sojae infect diverse crops, such as pepper, potato, and soybean, respectively. Phytophthora ramorum affects native and ornamental woody plants resulting in environmental damage. The downy mildew, Hyaloperonospora arabidopsidis (previously H. parasitica), is a pathogen of Arabidopsis thaliana and figures prominently in research on this model plant. 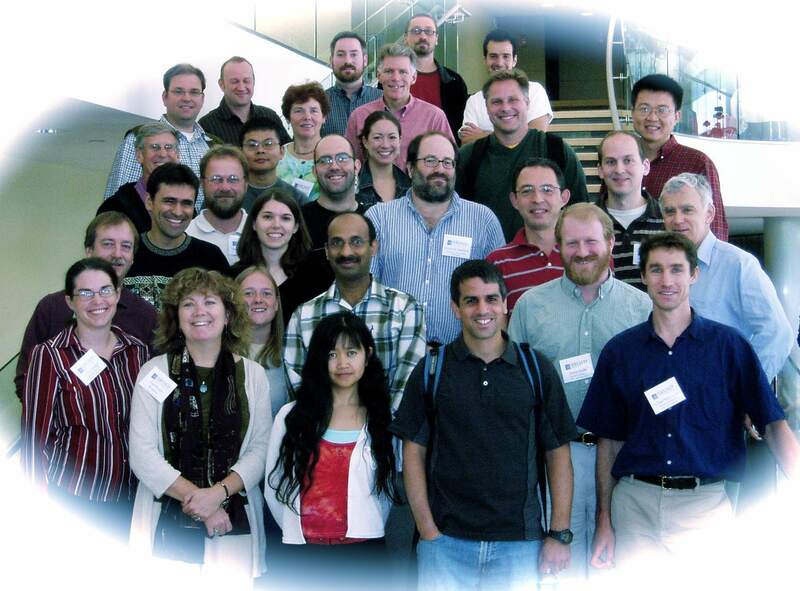 On September 18-19 2007, ~30 scientists attended the genome analysis meeting in Boston. Listen to 'Broad's way', a musical celebration of the P. infestans genome sequence. Chad Nusbaum talks about sequencing genome of Phytophthora infestans on NPR Science Friday. Des scientifiques decodent le genome du mildiou de la pomme de terre. Nusbaum, H.C., Fry, W.E., Judelson, H.S., Ristaino, J., Kamoun, S. 2005. "Microbial Genome Sequencing: The genome sequence of Phytophthora infestans". NSF Emerging Frontiers and USDA National Research Initiative. Nusbaum, H.C., Fry, W.E., Judelson, H.S., Kamoun, S. 2003. "Microbial Genome Sequencing: Phytophthora". NSF Emerging Frontiers. Genome project portal at the Broad Institute. 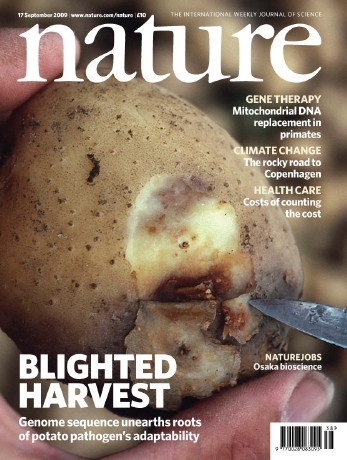 Molecular Plant Pathology - Pathogen Profile "Phytophthora infestans enters the genomics era"
Plant Disease article "Late blight of potato and tomato in the genomics era"